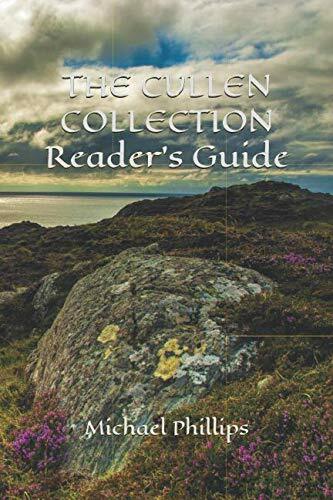 Michael Phillips’ edited edition of Paul Faber, now available on Amazon, is volume 21 of The Cullen Collection. The passage below is an excerpt from Phillips’ monumental new bibliobiography, George MacDonald: A Writer’s Life. “Faber represents the classic example of a “good” man by appearance, more kindly and compassionate and loving than many so-called Christians. He perceives within himself no need for God. Yet his very goodness is his downfall. For its darker side reveals a fierce pride which, as the story unfolds, illuminates the spiritual and even moral bankruptcy of mere external goodness. Goodness is a good thing. But without the recognition that goodness is born in the heart of our Good Father, it can never be enough. Priding himself on the goodness of his manhood, Faber judges others while keeping his own sins hidden from view. He even tries to hide them from himself. His hidden sin is a type of all mankind’s fallen nature. Eventually Faber discovers (as must we all) that he is not “good” after all. “Like Faber, Juliet—who shares the leading role—encounters truth and, like him, rejects it. But as memories of the past come calling, the roots of the salvation message probe deep. As Faber eventually must face the bankruptcy of his supposed human goodness, Juliet must face the emptiness of love outside the one Love which creates all other loves. She must discover that there is no “love” outside the one who is Love. “Not only do we discover here a parable of pride on the individual level, but on the church level as well. Faber’s perceptive, and sadly accurate, criticisms of Christians are especially disgraceful in that love and unity are the trademarks Jesus has given us to demonstrate to the unbelieving world that the gospel is true. In exploring the unbelieving heart of Faber, therefore, MacDonald also exposes the consequences of spiritual pride and division between Christians. “If this is a parable of salvation, it is equally a parable of unity in the body of Christ. Scripturally the two are intrinsically linked. The only way, according to Jesus, that the world will come to know his Father is through the love Christians demonstrate toward one another and to the world. When the world witnesses division, unbelief results. The shattering of church and doctrinal walls—a theme running through many of MacDonald’s books—provides one of the sub-themes of this story. MacDonald throws together an Anglican curate, an atheist, a Congregationalist minister, the minister’s doubting daughter, a believing dwarf who acknowledges no church allegiance, the rector of the Church of England, and a lady caught between them all, not knowing what to believe.